Win! A pair of weekend camping tickets for Sonisphere! Plus a free download EP! Any plans this weekend? No? Hmm. What's that? You'd rather hack your own face off than go to DiS's amazing Field Day after party at The Old Blue Last in London town on Saturday? Oh. Ohhhhhhh. That makes us sad. Oh what's that? You like the rock? And you really wanted to go to new Metallica/Linkin Park-headlined festival Sonisphere but you couldn't afford it? Wanted to say goodbye to Nine Inch Nails as they play their alleged last ever UK date? 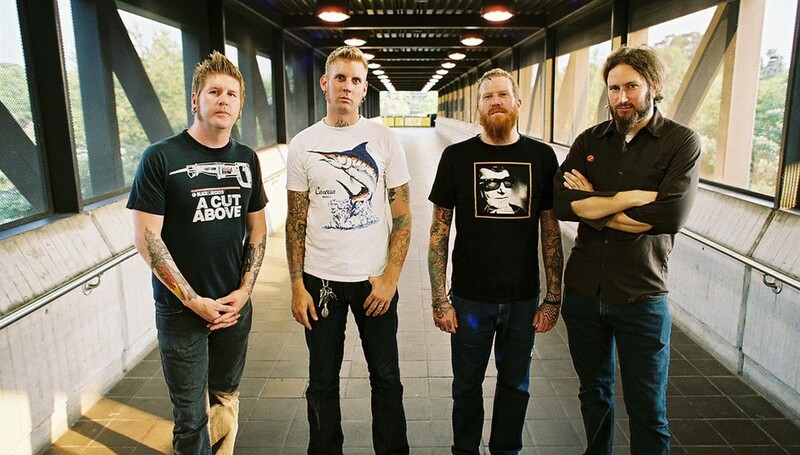 Would like another proggy mauling from Mastodon? What do you think the next Mastodon album should be called? Winners will be decided on Thursday, Warners will ensure you get your tickets on time, never you worry. In a sort of runner-up prize for all, this week saw the launch of www.ukundercurrent.com's new music store: got to www.ukundercurrent.com/sonisphere and you can get a free download EP of tracks from the above mentioned list of acts, sans Linkin Park. Most notable track is the inclusion of new Linkin spin off Dead By Sunrise's mildly hubristic 'Crawl Back In' (live at Sonisphere), which, as the title suggests, will be taped at the weekend. Heck, if you win the competition and take along a bullhorn or something, YOU could actually be on the EP. Wow. Basically we're offering you a chance to become famous. Oh, and speaking of Mastodon, our video interview with them should be up by the end of the week. Weeee!